Lease office, retail or other business premises to a tenant with this Hawaii Commercial Triple Net Lease Agreement. Triple Net Lease. A triple net lease means that the lessee covers all costs and expenses to do with the premises including structural repairs. Renewal. The lessee has an option to renew the lease for an additional term. Taxes and Charges. The lessee will pay all expenses, taxes, levies, and charges with respect to the premises, all utilities and services, and operating expenses for its business. Insurance. The lessee is responsible for carrying fire, extended coverage, and liability insurance. Alterations and Repairs. The lessee is responsible for all alterations, improvements, maintenance and repairs. Damage or Destruction. 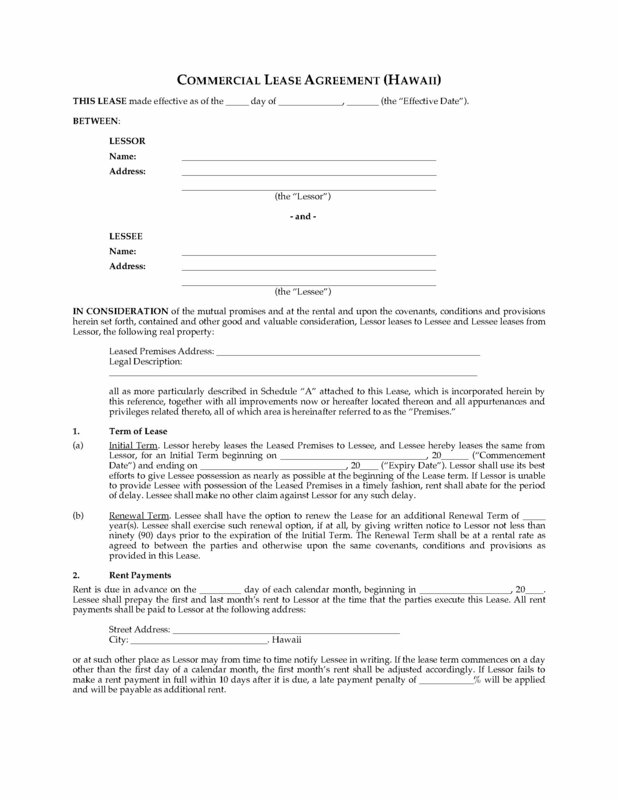 Clauses outlining abatement of rent or termination of the lease the event of damage, destruction, or condemnation of the building. Subordination. 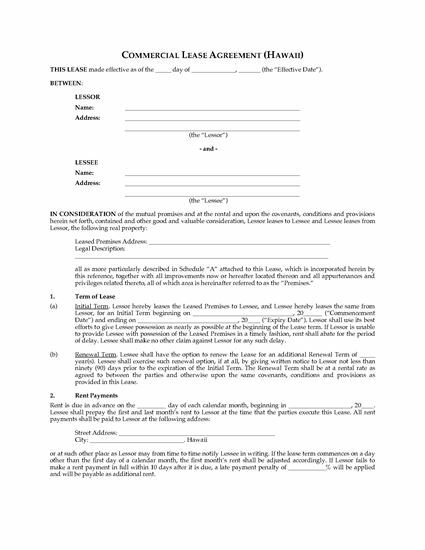 The lessee agrees to sign a subordination agreement or other documents necessary to subordinate the lease to a mortgage or other charge, if required by the lessor. Additional Rent. 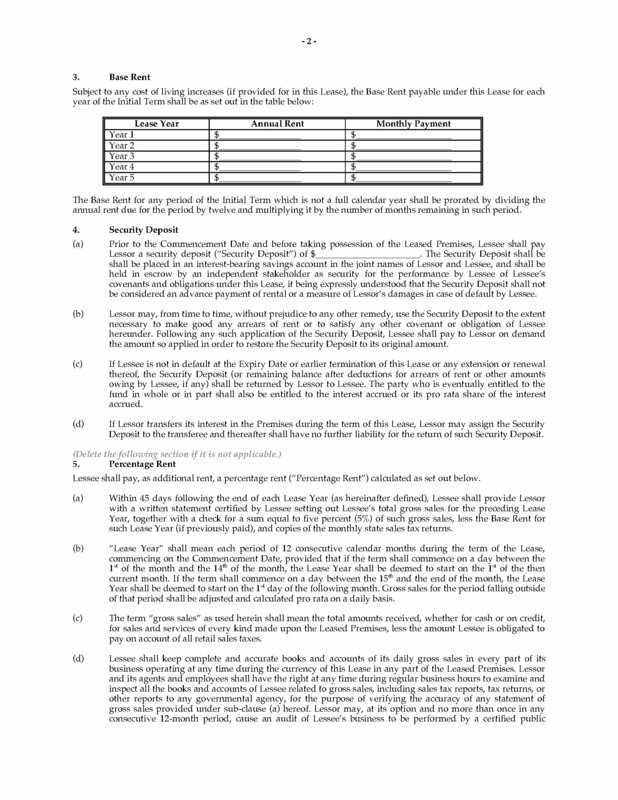 Optional clause for percentage rent to be paid in addition to the base rent, if applicable. 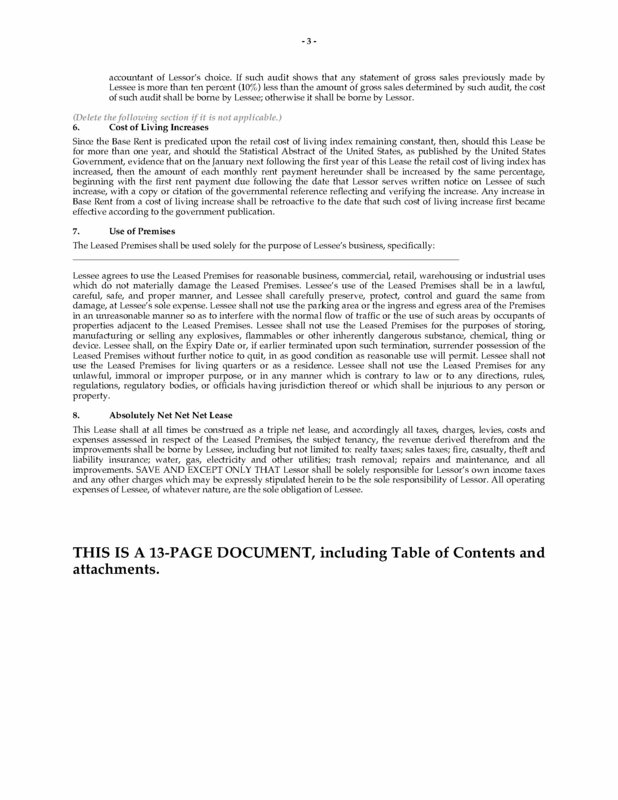 This Hawaii Commercial Triple Net Lease Agreement template is available in MS Word format, and is fully editable to fit your needs.